She did a FABULOUS job on the pillow! Just amazing! I am sure it is something you are going to treasure for a very long time, and even cooler that you will think of your blogging friend every time you see it! I can't wait to check out the Etsy shop! It's incredible and so you! I guess the Etsy project is going to put our bird poop project on a hiatus... I can't wait for that Etsy shop to open! I am blushing over here! You are too sweet and I am sure the lady at the post office was envying your grin as much as the box. The Etsy store will happen someday...I think. :) Thanks again for the love!! And tell Magali not to worry, we'll sell the poop paint on my someday Etsy page. How Coooooooollll!! Heather is so talented with those pillows, stitches and quilts, she amazes me all the time. That was so sweet of her to send you a pink girlie box full of goodies. I think I did see her mention the Etsy thing, I'm so excited for her. How dare that girl scout go and eat all your cookies...unless it was the spider...or the deer, lol. Have a great weekend, Karen! 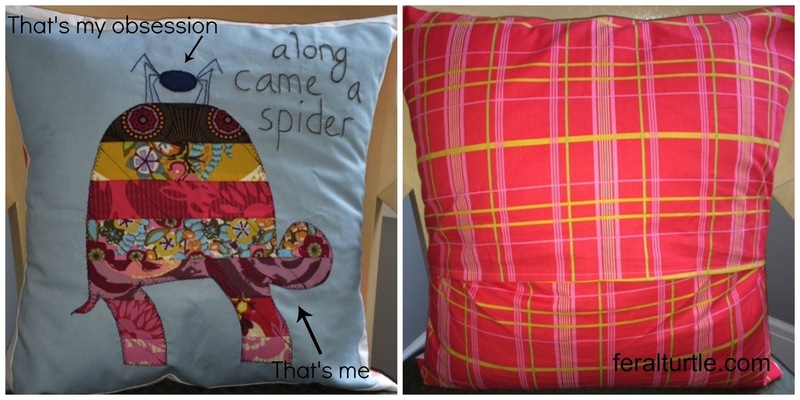 That is the cutest pillow and heather is the sweetest friend! I can't wait to see what else she has in store in her Etsy shop. Oh awesome! What a beautiful pillow and gift. 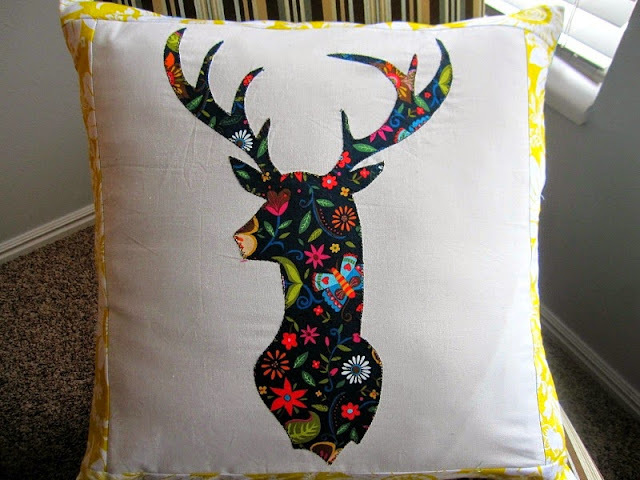 Such a cute pillow! What a great job she does! What a fabulous pillow!! Heather is so freakin' talented!